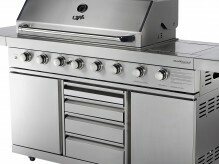 BlueTongue BBQs is committed to providing exceptional customer service and quality products. We endeavor to make sure that all products listed on our website are currently in stock and pricing is true and correct. Standard delivery time frames are between 3-10 business days. In the event that an ordered item is not available or we are unable to fulfill your order we will notify you within two business days to arrange an agreeable alternative item, a back-order or a full refund. Please choose carefully. We do not give refunds if you simply change your mind or make a wrong decision. You can choose between a refund, exchange or credit where goods are faulty, have been wrongly described, are different to the product purchased on the website or doesn’t do what it is supposed to do. In these circumstances, it is up to the customer to return the goods to the BlueTongue BBQs nominated warehouse in undamaged and saleable condition.